First off, happy 2014 everyone! I wish you all the best for this brand new even numbered year. Yes, I'm feeling a lot better about this year now that we are on an even number. Am I weird? Yes, a tad. Anyway, I've been linking up like crazy over this winter break. I guess I'm taking advantage of the fact that I can and once school starts again, I won't be able to link up or post as much as I have been. It has definitely been nice having the extra time. Sure will miss it when Friday comes... Sad face. 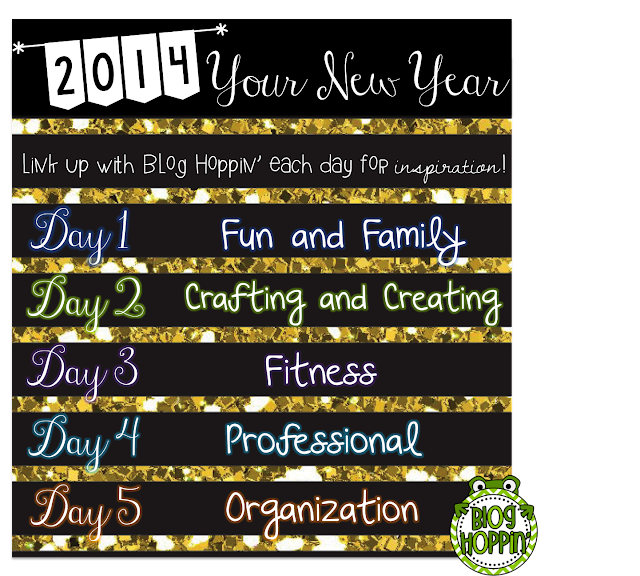 Today, I'm linking up with Blog Hoppin'. Today is all about family. 1. My main goal with my family this year is to be more present. Because although I am there spending time with my family, my mind or brain is not all there. My mind might be wandering off thinking about school or bills or blahblahblah. Anyway, I want to be more present and in the moment. 3. And maybe hopefully look for a house. I'll cross my fingers, but not hold my breath about that one. I am just sick of apartment life! I also am linking up with Simply Kinder to meet some other fun bloggers! Happy New Year, everyone! I totally understand what you mean by nothing be "present." And that is something I need to work on. Although I am home, I am 'not' home. My mind is still on school and I am still doing school work. I need to put that aside and be present more at home too. Ready for Valentine's Day... A little early?